MOTIVATED SELLER! HAVE YOUR BOAT JUST OUT YOUR BACKDOOR AS YOU ARE JUST STEPS TO YOUR OWN BOATSLIP! Beautiful four bedroom two story home located along the shores of the White Oak River in this waterfront community. Enjoy coffee on the rear deck with a view of the White Oak River as this lot adjoins the HOA's common area with a footpath out to a community dock where you will enjoy your own private boatslip with a lift. This home was constructed in 2005 with just at 3000 heated sq ft. Enter the foyer and you . will be greeted by a large 27x17 open living room with a fireplace & recessed lights. Kitchen with granite countertops, island, eat in area. 1st floor master bedroom, with a large walk-in closet & a master bathroom with double sinks, an oversized jetted tub, and a separate showerFormal dining room and a 12x17 kitchen with a tile floor, custom cabinets, and quartz countertops. On the second level are two large bedrooms, a full bathroom, and a study. Bedroom #3 is 16x11 and bedroom #4 is 14x14 both with wall to wall carpeting and ceiling fans. 10x9 Upstairs office area overlooks the front yard. 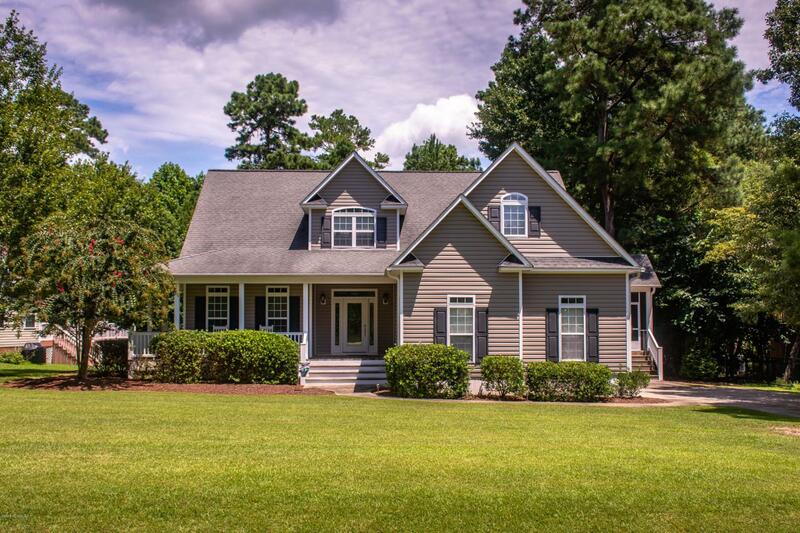 Other features of this home include nine foot slick ceilings, chair rail and crown moldings, hardwired for generator, a 22x21 attached garage, and a screened in porch area. Second HOA for the boat slip and pier with an assessment of $135. Per year. Seller replaced all three HVAC units as of December 2018.